The Amalfi Coast is out of this world in terms of beauty. 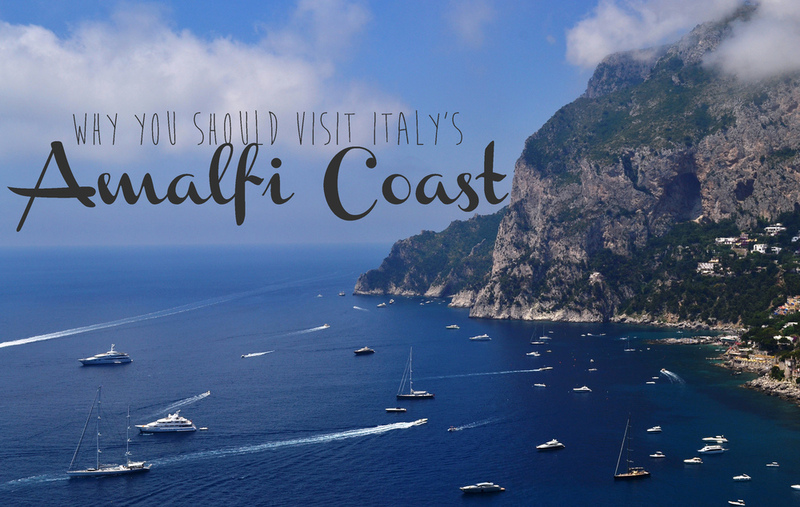 Rome, Florence, and Milan are great, but Amalfi is simply in its own class. There's a reason why it has become such a popular vacation spot over the years, and it is still totally worth visiting, despite the growing number of tourists. 1. You've got to see the iconic photo of Positano in person. If you've seen photos of the Amalfi Coast, chances are you've seen this snap of the cliffside homes and buildings by the beach. If a picture tells a thousand words, those thousand words are sure to include, "You need to see this for yourself!" 2. ...And there are similar views all over. Travel during the daytime for at least one leg of your trip so you can stare out the window at views like this. Fifty shades of blue (and some boats, too). 4. You'll be amazed at how incredible it all looks up close. 5. Amalfi likes to show off, especially when you're out on the water. This place is meant for boats. The smell of the sea and the ocean breeze only add to it all. 6. You might see this guy around town. Straight chillin', because that's what a dog's life is like by the beach. 7. You can hike or take a cable car to the top of the mountain from Anacapri. The island of Capri is worth the ferry ride over, and so is getting to the top of Monte Solaro, the highest peak on the island. 9. As you climb higher, you'll find yourself among the fog. 10. Flowers are another reason to love the Amalfi Coast. Yet another thing to add to the list of why this place is absolutely gorgeous. 12. Actually, purple flowers are everywhere. And we're not complaining about it. 14. There's also a little something called the Blue Grotto you may have heard of. It looks like a simple small cave from the outside, but once you go in, you'll find the cavern illuminated with a bright blue light. The only way in is by a rowboat where you have to duck/lean back since the entrance is so small. 15. You can spend your few minutes inside the Blue Grotto in the rowboat, but sometimes they'll let you swim. You might have to persuade 'em with a few euros. 16. You can find lemon groves in Sorrento. Follow your nose - you'll be able to smell the sweet scent as you inch closer. The Amalfi Coast is where limoncello, the sugary Italian liqueur, comes from. 17. Because once you've been, nowhere else will compare. Amalfi has ruined you for life. In a good way.